Our ASM analytical screening machines are gravity-screening machines. They are used for the automatic separation of all screenable bulk materials into individual grain fractions for the reproducible determination of grain size distributions. We offer the ASM in two designs: ASM 200 and ASM 400. The ASM 200 is a gravity-screening machine, the three dimensional screening action of which has a vertical dominance. Due to this motion, the feed material is distributed evenly over the screen area and the vertical dominance ensures quick separation. The innovative electronic control on the ASM 200, together with the vibration sensor fitted to the vibrating plate, ensures a constant amplitude irrespective of the loading. All mechanical parts, the electro-magnetic drive with specially tuned double spring system and the electronic controls are all fitted into the stainless steel housing. 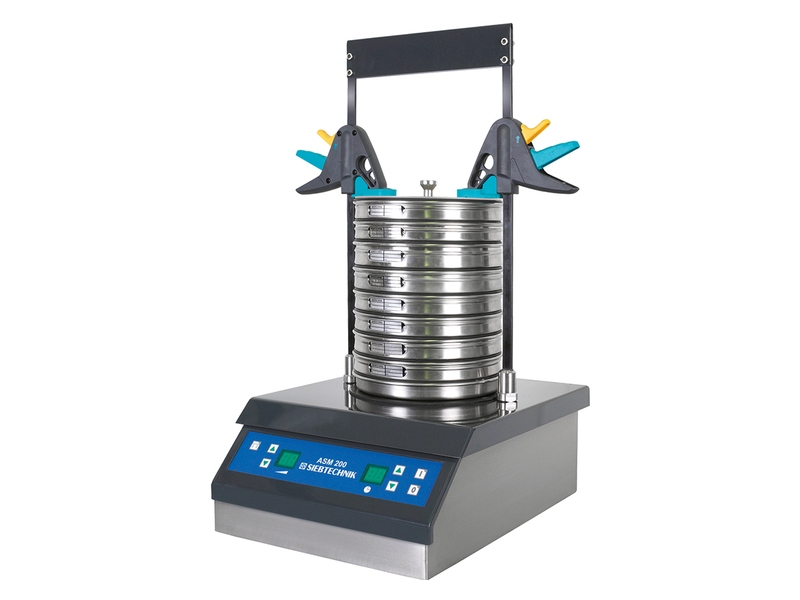 The sieve set is easily fitted to the vibrating plate and fixed with the quick locking device. A clear plastic lid enables you view the screening action. The machine is maintenance free. The keyboard is foil protected and controls on/off, amplitude, intermittent operation for difficult samples and timer functions. Special accessories for wet screening available. We reserve the right for technical changes. The ASM 400 is a gravity-screening machine with a dominantly vertical screening action, which is generated by a double-eccentric motor drive. All mechanical components, drive and control electronics are enclosed in a housing mainly made of stainless steel. 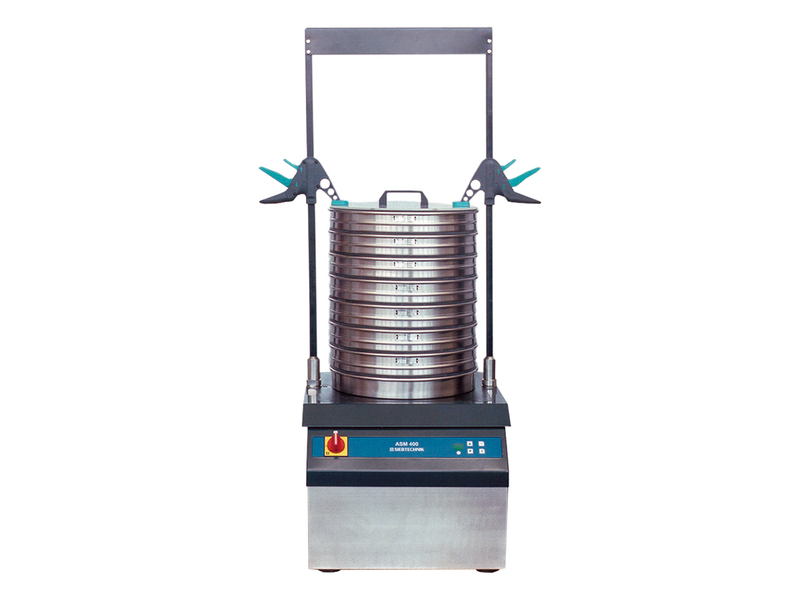 The sieve set is easily fitted to the vibrating plate and fixed with a quick locking device. The machine is maintenance free. The keyboard is foil protected and controls on/off and timer functions. * Through optional adapters it is possible to install max. 13 test sieves incl. collecting box. Special accesories for wet screening available. We reserve the right for technical changes. Wet screening is possible by using special accessories such as the cover with spray water facility and the collecting pan with spout.